What is Real Ear Verification? If you are in the process of getting a hearing aid, no doubt you have had your fair share of fittings. One of the most important ones is called a real ear verification test, as it is used to program your hearing aid to your specific type of hearing loss. Why is Fitting Your Hearing Aid Important? Fitting your hearing aid to exactly match your degree of hearing loss is key to maximizing the device’s performance. Real-ear verification doesn’t just focus on the type and degree of hearing loss; it takes into account your ear’s unique anatomy, as well. Structural factors such as your ear canal volume can have a significant impact on device performance, but the programming software many other audiologists rely on cannot accurately measure this information. The result? Improper amplification levels and substandard performance. Real-ear verification offers superior accuracy and provides a true measurement of the hearing aids’ effectiveness in relation to your specific hearing loss. How is Real Ear Verification Performed? The process of this test is very simple. 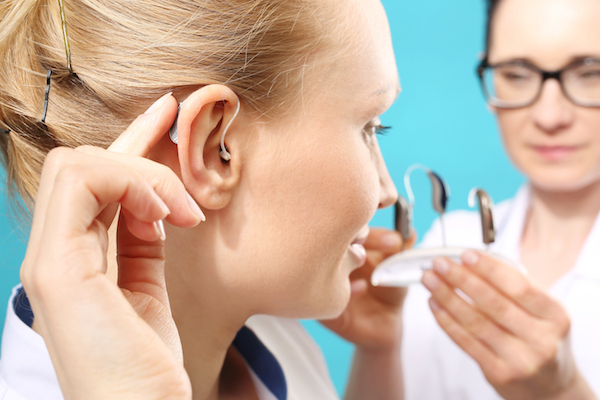 First your San Diego hearing specialist will examine your ear with an otoscope in order to ensure there is no wax or other debris that will interfere with the test. Next a tube is placed into the ear canal until it is ¼ inch away from the eardrum. The hearing aid is then put in place. Sounds are then played a foot or so away from your head. These sounds are filtered through the hearing aid where they are measured with the previously placed probe. This lets your San Diego audiologist confirm how much amplification your hearing aid is actually providing. While this test is considered the gold standard in hearing aid fittings, a survey found that less than 40 percent of audiologists confirmed they regularly use this test. Fortunately, your San Diego audiologist is one of those 40 percent. Get the most from your hearing aid. Contact your San Diego audiologist today.